Uniweb IT Solution is software consultant firm that specializes in IOS & Android mobile app design & development. We are a leading mobile apps development company in Kuwait, we understand the need of new ,effective and innovative mobile apps and solutions to be created according to the client requirements. Our experts develop solutions for iOS, Android, and hybrid mobile platforms, each serving distinct market needs. IOS is a more powerful app development platform allows you to design new business expansion opportunities and create wider revenue stream by developing business apps. Our skilled designers and developers deliver mind blowing iOS application that completely satisfying the business needs. Uniweb IT Solutions is best mobile app Development Company in Kuwait for mobilizing your brand. Making good use of Apple’s credibility, our in- house team of professionals provide complete iOS app development solution that meets long-term business objective. IPhone application development offers outstanding user experience, enhanced app security and excellent customer support. People looking for robust and easy to use iPhone applications that comes from a customized design, it will improves company’s productivity and business conversions. IOS apps has easy and user friendly interface. Uniweb IT solution is Kuwait based app development company specialized in android application designing and development. 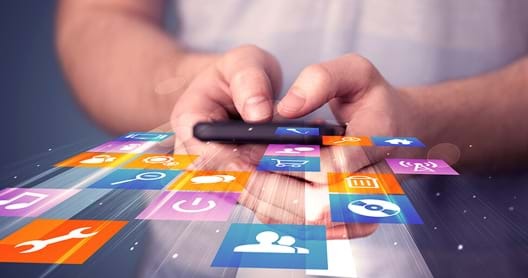 Android is the most popular operating system in the world, android apps offer an effective way to enlarge your client base and enhance the brand engagement. Our team had extensive experience in android app development and focused on responsive mobile app that smoothly works across all android devices. Android apps provide interactive user experience and enhance the leads for your business. optimizes the platform and solutions for extensive customer engagement using our excellence in designing android applications. Our technical expertise will help you to deliver the application that meets every one of your business requirement.